Yuuto's step-sister, who secretly has a crush on him. She expresses it through jealously and teasing of Yuuto's "oedipal" attraction to his step-mother. Their relationship changes after an argument in which Yuuto complains that Erika is too absorbed in her studies and no good at household chores. She ends up offering to help him in another way by giving him sexual favors which he readily accepts. They attempt to keep to their relationship a secret, but others notice the change in the siblings. 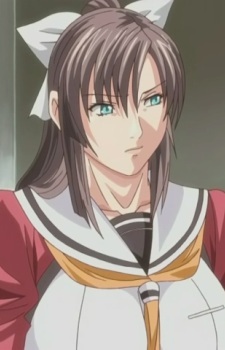 Among them is Yuhi, a fellow female classmate, who is romantically interested in Erika.